Hello, HoOhLugia here! I... I mean we are twins, possibly the only twins in this forum! Since many people ask us questions (0 times), we decided that we should start a thread incase anyone would like to ask us questions or want to know anything about us. Please keep in mind that I may not answer personal questions, but these are very few since we are very open people! I think that's so cool that the two of y'all are twins! So, are y'all both boys? Both girls? One of each? 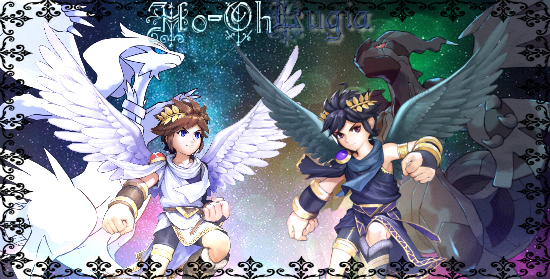 And which one of y'all is Ho-oh and which one is Lugia? (Older or younger?) How many minutes are y'all apart? Do you two like the same music? If not, what kind do y'all like? What about pets? Got any of those? What are the two of y'all's favorite Pokemon? Because we're one of these people who absolutely hate the word impossible and know that everything can be done. My favourite word to pronounce is rural, since I like pronouncing the 'oo' sound before and after the 'r'. We're both girls, but we like talking to boys and girls as well, so anyone is welcome! And we're also identical. VERY identical. Elena is Ho-Oh, and MaryLyn is Lugia, and we're 1 minute apart, with MaryLyn (Lugia) being older. We love all animals really much, including cockroaches, snakes and plants. But our favourite is dinosaurs, dating back to childhood. As for living animals, it's the slithering snakes! We both like classical, old music (1990's and back) motivational music (Roar etc.) and Pokemon music. We swim, but we're good in every sport, including football, soccer, tennis and basketball. Yes, but they're all in Heaven. We have two budgerigars (small parrots), who are hand raised and very playful. Better bump this thread. No questions are coming in, as usual! If you were a Hogwarts student, which House would you want to be sorted to? Have you ever hung upside-down for a half-hour or more at a time, and if so, what were the pros and cons of it? -It doesn't matter what someone says about you or your things. After all, they'll never know the backstory. -One does not simply grow out of Pokemon! Pokemon Adventures is my favourite book series. Other than that, Eragon and the Silver Brumby! Ooh, I've never watched or read Harry Potter, but I'll be in the one with most animals. Oh, that is a very unique question! I've never been upside-down for thirty minutes, but I have been upside down for maybe ten or twenty minutes. Positives: It was very fun, in the back tingling way, and I observed my room in a whole new perspective. Of course, everything looked different! Consequences: It left me very dizzy for a long time, and I felt light-headed and as if I lost all blood in my head. But it still was fun. Quote: and I felt light-headed and as if I lost all blood in my head. You feel light-headed because your blood mostly goes to your head (due to gravity). But, thanks for the answer! What she was trying to say was as if she lost all blood from her head. We know our science and physics and laws of gravity (remember we came 1st and second in every subject)!